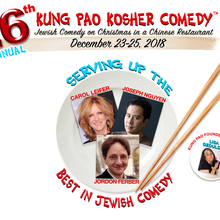 San Francisco’s annual Jewish Christmas tradition, Kung Pao Kosher Comedy™ celebrates it 26th Anniversary on December 23 thru December 25! 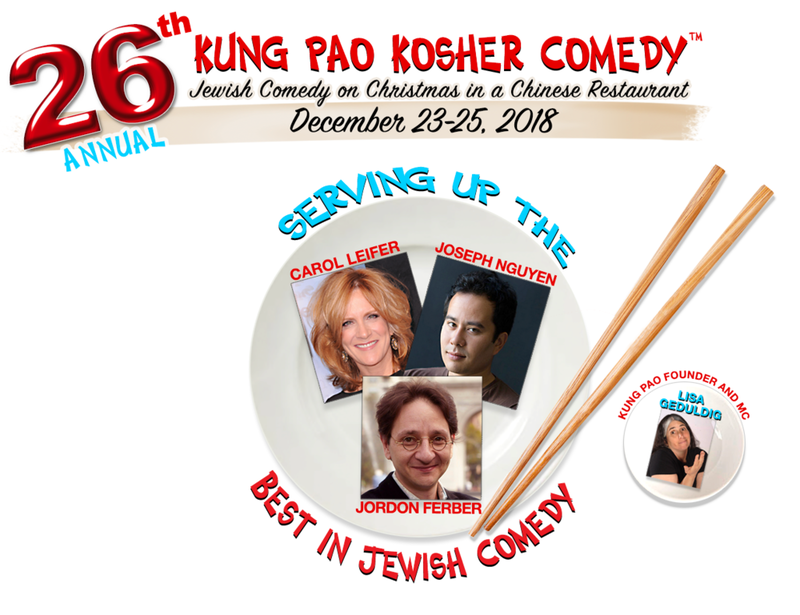 The legendary Jewish-comedy-on-Christmas-in-a-Chinese-restaurant extravaganza has been featuring household name Jewish comedians and Yiddish proverbs in its fortune cookies for over two decades. Kung Pao is San Francisco's longest-running comedy show and caters to 2200 people annually. CAROL LEIFER is an author, award-winning producer, actress and stand up comedian who loves making people laugh. 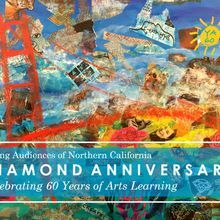 Her dazzling, observational style humor caused her to be nominated four times for an Emmy for her writing on such extraordinary television shows as Seinfeld, The Larry Sanders Show and Saturday Night Live. She has written for the Oscars Telecast 8 times, more than any other female writer to date, most recently in 2018 for host Jimmy Kimmel. Most impressively, among her many honors is the prestigious Writer’s Guild Award for her work on TV’s number one comedy show, Modern Family. Carol is currently the Co-Executive Producer of the new NBC show, Better Late than Never, which stars a remarkable line-up of such notable personalities as William Shatner, Henry Winkler, George Foreman and Terry Bradshaw. She is also the head writer for Carol Burnett’s new Netflix series, A Little Help, streaming now. Starring in five of her own comedy specials that aired on HBO, Showtime and Comedy Central, Carol holds the record (an unbelievable 25 times) for the most appearances on Late Show with David Letterman. After all of her remarkable accomplishments, she still finds time to perform at many of the country’s prominent comedy clubs, theaters and universities, doing stand up at its best alone, or appearing with such famous celebrities as Jerry Seinfeld, Paul Reiser, and Jay Leno. Carol is currently Consulting Producer for HBO’s Curb Your Enthusiasm, Season 10 airing in 2019. And to top off an already prestigious career, Carol has written two best-sellers, When You Lie About Your Age, The Terrorists Win and her latest, How To Succeed In Business Without Really Crying. 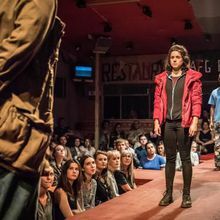 Carol returns to the Kung Pao stage after 20 years. JOSEPH NGUYEN, subtle but sharp, laid-back yet engaging, is a smart slacker beloved by audiences for his easygoing delivery and good joke writing. Raised in the state of Georgia by immigrants of Vietnamese and Jewish descent, Joseph was destined to become a stand up comedian. Joseph is a regular at the Punch Line and other Bay Area comedy clubs. He returns to Kung Pao after having performed at the event 10 years ago. He tours nationally with the "You're Funny, But You Don't Look Jewish" comedy tour. JORDON FERBER is one of the must-see acts in New York; his unique style and ironic take on life is refreshing and always hilarious. Jordon was featured on the first season of Last Comic Standing, has performed at nearly every NYC venue, including the Gotham Comedy Club, Caroline’s, and MSG’s Comedy Garden and is a regular performer at clubs throughout the Northeast, including Mohegan Sun. He was recently featured on Amazon’s The Marvelous Mrs. Maisel. 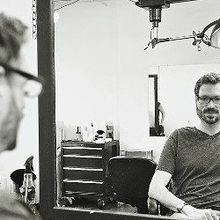 He is the producer of the podcast, Where’s The Grief?, featuring interviews with comedians and other performers focusing on the ups and downs of dealing with tragic loss. LISA GEDULDIG is the creator, producer, and MC of Kung Pao Kosher Comedy; Funny Girlz: A Smorgasbord of Women Comedians; A Muslim, A Mormon, and A Jew Walk into A Bar: The Comedy of Religion, and has produced Charo at The Herbst Theatre. 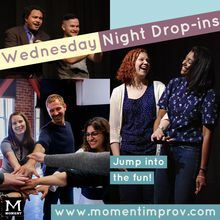 For the past 10 years, she has been running a monthly show Comedy Returns to El Rio in SF’s Mission District (where she began her comedy career almost 30 years ago) and a year ago began a monthly comedy show at Ashkenaz in Berkeley. She also is a freelance arts publicist.